Last year, popular PC company Razer announced a wearable, of all things, during CES and it looks like this year there's another one. The Razer Nabu now has a buddy called the Razer Nabu X. 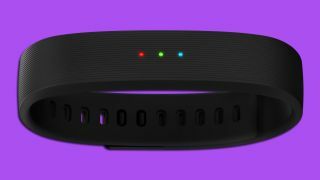 Priced at a more affordable $49.99 (€49.99, about 32.77, AU$62) the Nabu X will deliver the same notifications from smartphones, track fitness data and has social band-to-band capabilities, all in a discreet form factor. Essentially the only thing missing is the original Nabu's OLED screen. Notifications will instead take the form of three colored LED indicators and vibrations. Both the Razer Nabu X and Razer Nabu will work with the full suite of third-party developed applications available on the Nabu Marketplace. The smartband will be priced at $19.99 (about £13.10, AU$25) to qualified fans at Razer's Insider forums and start selling on January 13. The wearable will be available worldwide during the spring of 2015. Check out our full hands on with the Razer Nabu X from the CES 2015 show floor!